After making the daunting decision to seek legal advice, I searched the internet trying to find a Solicitor who understood domestic abuse and the impact it can have on someone’s life. I came across Rachael Haine at Giles Wilson, her website profile spoke of her extensive experience in dealing with domestic abuse cases and at that point I made contact. Rachael worked as my Solicitor for over a year and throughout this time she always provided me with reassurance and honestly regarding my case. I have so much gratitude and thanks, without Rachael our lives would still be in a very dark place. Now both my daughter and I look forward to the future and no longer live in fear. I highly recommend Rachael Haine at Giles Wilson. I was impressed by their professionalism, care and concern. Possible solutions to what was a difficult personal situation were clearly laid out and sympathetically discussed. Good at responding quickly to emails/letters//phone calls. There was also complete clarity about their (very reasonable) fees from the off (and when you're worried about paying for legal advice, as I was, this is obviously very important). Thank you Mr Wall - really appreciate your comments. My family have used Giles Wilson on a number of occasions. We would highly recommend them for their professionalism, friendliness and reasonable prices. On visiting the offices, everybody is warm and friendly and nothing is too much trouble. Daniel Carnock has been wonderful with his advice and help, whilst Ben and Charlotte from the conveyancing department did a fantastic job helping us through a lengthy and complicated move. I can't recommend the team at Giles Wilson highly enough. They were professional, communicative and efficient. They also showed a level of compassion throughout which made a very real difference to me. I am so pleased that we were able to help. Thanks for the kind comments Jennifer. Ryan provided conveyancing services for my recent flat purchase. I cannot fault the service given by Ryan or the team at Giles Wilson. Updates were regular and any queries I had were dealt with promptly and with in-depth explanations. Thoroughly recommend this company! Giles Wilson fought a litigation for my father when a large motor vehicle manufacture refused to accept liability for a faulty vehicle. They were prompt, professional and successful in obtaining a positive result. Highly recommended. Thank you so much for taking the time to post this lovely review. We know that our litigation team do work hard for their clients but it is great when clients (or their sons!) take the time to say so. Thanks again. I have for almost three years been helped complete my divorce and financial matters by Rachael Haine. It has been a difficult and not a pleasant time in my life . Rachael has been very supportive to me helping me to work through the options for myself and my family . Rachael has always been honest and guided me through making some very difficult decisions . Divorce is not something for the faint hearted it is expensive and exasperating and quite unfair at times . I am glad I had someone who took the time to discuss with me the best ways forward . I would recommend Rachael to assist anyone going through the same experience . The front of house staff are really kind and always helpful . Thanks for your comments Jane. I will pass them on to Rachael. Thank you for your comment. I shall pass it on to Leah. Pleased we could help. Fantastic service. Philip listened very empathetically to our needs and took the time to explain in plain English how to navigate our issues. Excellent attention to detail. Highly recommended! Thank you Matt for your really kind comment. Giles & Wilson has dealt with both our sale and purchase of our home recently, they are excellent and very efficient in term of services provided. The team is very friendly especially Ben Eaton who is very thorough and speedy in communication. I certainly recommend the company to anyone. Thank you for your kind comments. We certainly value Ben as part of the team! Helpful, knowledgeable and friendly advice on a very complex legal area. Highly recommended. Excellent service in arranging wills and lasting power of attorney. Understanding and patience with older family members hugely appreciated. I have been a client of this firm for many years and intend to remain so - I have used the Conveyancing department, several times, I have had cause to use their skilled expertise in Employment Law and I have made use of their Will & Probate services, all of which have been excellent and all of which have had positive outcomes for me. 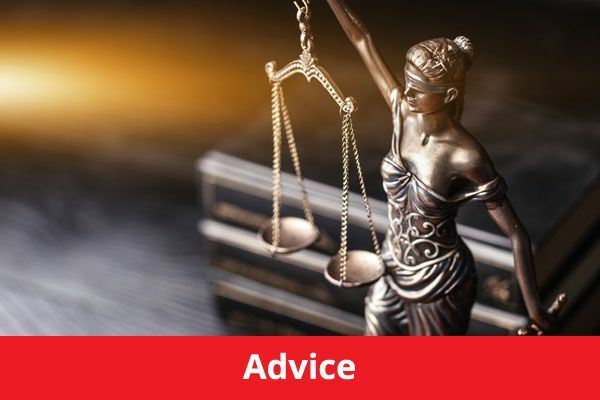 I never act without consulting Giles Wilson and their advice has always been practical and sound - I never hesitate to recommend them - the service on offer is first class - their charges are competitive and access to your actual solicitor, which is so important, is guaranteed. I am very pleased to say that Giles Wilson are my solicitors. Thank you Mary, for your very kind words. Ben Eaton and his team were excellent. Responsive, diligent and most importantly they got the job done within the time frame. Would not hesitate to recommend. Thank you Mr Foreman, great to hear. Thank you for taking the time to comment. I want to thank Philip and the team at Giles Wilson for their knowledge, patience and professionalism in dealing with my case. Without which the result would no doubt not have been a possitive one for me. I would highly recommend them to anyone for legal services. Ryan Dewar was extremely thorough and honest throughout our dealings. I always felt safe with the advice given and supported with any issues or queries that needed to be made. Ryan definitely had our best interests at heart and was very patient in answering any questions. The reports created by Ryan were detailed and covered all bases- really impressive! 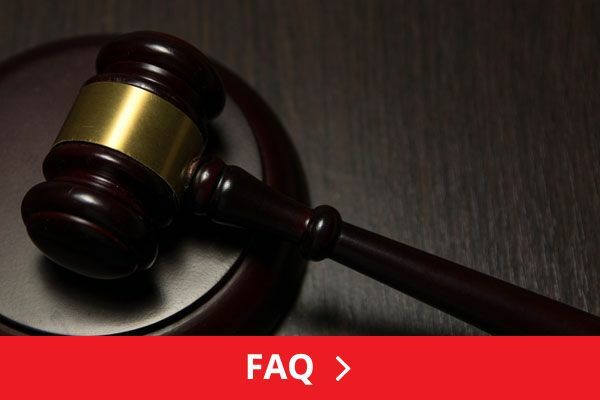 Of course, as first time buyers, the legalities for a property purchase can always feel stressful and burdensome but Ryan's knowledge and expertise always put us at ease. Giles Wilson as a team have always been great and others in the practice have also dealt with legal matters for my family members. I would highly recommend this firm- whether it's dealings via email, telephone or face-to-face, their professionalism is second to none! Thank you so much for taking the time to post this review - it is really appreciated! Well they advertise as being an award winning team and it is not difficult to see why. The service was impeccable, in a timeframe that I thought impossible. A complex estate administration made easy by a team who answer every call, are polite and informative; which these days is a novelty for solicitors! Daniel Curnock, Partner at Giles Wilson LLP, provided outstanding professional assistance to my family with a particularly complex Probate case and subsequent administration of my late motherâ€™s estate. During the case and administration, that began with very difficult circumstances and presented a range of challenges, Daniel provided consistently measured and responsive advice and guidance. His naturally friendly and approachable manner combined with his solid knowledge, expertise and experience in law inspired both comfort and confidence throughout. We will always be grateful that we contacted Giles Wilson LLP and benefited from the capabilities of Daniel and his team. I would not hesitate to highly recommend the services of Giles Wilson LLP. Thank you. Recently I had to set up a power of attorney for my aged mother, on an emergency basis. I phoned the lawyers closest to her home and thank heavens I did. I called early in the morning and made an appointment for a layer to visit my mother that afternoon. Unbeknownst to me, the lawyer, Daniel Wilson, who showed up, on time is a partner of the firm (Giles Wilson) and I couldn't have asked for anyone kinder and more understanding to my situation. He spent more than an hour explaining to my mother exactly how the power of attorney worked, all the legal ramification and what was expected from her and her three attorneys, her three children. As mailing the completed package back is not appropriate, Mr. Wilson will again visit my mother, a service most appraised. I was shock at the "set" price, but then I confess to being totally naive when it comes to what lawyers cost, but that said, Daniel was worth it. Thank you Susan for your kind comments about Daniel (Curnock, not Wilson). Philip Giles was incredibly helpful and practical when advising me. I felt supported and utterly safe that he had my best interests at the forefront of any advice given. He gave me different options and recommendations whilst equally listening to my wishes so I never felt any additional pressure during a stressful time. I would not hesitate to recommend him to others or to go to him again. Very happy with the superb advice I received. Thank you. Philip Giles could not have been more supportive, knowledgable and thorough when it came to my case which was fairly complicated. He went above and beyond making everything clear and succinct. Giles Wilson have also dealt with 2 house sales for me and again the whole process was quick and easy. I would not hesitate to recommend Giles Wilson on all areas of law. Thank you, Katie, for your very kind comments. Much appreciated. My ex-wife decided to hire a top city solicitor in a effort to extract as much money from our settlement as possible. I decided to remain "local" with my instruction (Phil Giles) and never regretted it. I would not wish my experience upon anyone, but through 17 months of hell instigated by the other side, Phil provided experienced, clear, calm and measured guidance. Although Phil's hourly fees were less than half those of my wife's solicitor, in my opinion, he was a much better practitioner (and I am a non practising barrister so I do have some idea on this) as well as being far more pragmatic and practical. During a process like this it is very important to have someone you can trust, and who is able to give clear answers and reassurance which allows you to get to sleep that night. Most importantly, I was very pleased with the final settlement. We had to go to court and again, Phil's knowledge of the local courts and judges was very useful and his choice of barrister was also excellent. My costs were very high by the end but they were fair considering the amount of work that needed to be done. I have no doubt that Phil would have been able to conclude matters far earlier and at a fraction of the cost had my ex not decided to take the "city" route she did. Despite the fact that I sincerely hope I never have to use Phil again (!) I am very glad that I did engage him, and I shudder to think what might have happened had I not had such a capable solicitor on my side. Thanks for your kind words Steve, much appreciated. Giles Wilson dealt with the purchase of our parents retirement home. From start to finish they kept totally on top of the transaction. After it was completed, as we had been so impressed with their service, we asked their Private Client team to review several other legal matters for us. Their expertise has helped us immensely. I found them to be very helpful. Clear and concise in all areas. Company charges were in line with other solicitors. After being faced with a very tricky situation with an employee, I was so relieved when I was put in touch with Roy at Giles Wilson. He handled everything with professionalism and helped guide me throughout the entire process for the most amicable outcome. Hopefully I won't have to use you for that service again, but if I ever do, I wouldn't hesitate at all. What could have been a very unpleasant situation was dealt with in a way that made life much easier for all involved. The initial response was immediate with a quote to solicitate my house purchase. I was really happy with the way that my purchase was handled throughout and was given some very useful advice. I was moving from a rented property and the end of my contract was rapidly approaching so I put a huge amount of pressure on the guys at Giles Wilson to push the purchase through before a certain date. This was handled calmly and professionally and I was very grateful to be able to move into my new house a few days before my rental contract ended. This allowed us to do a gradual move which saved a lot of stress. There were also a few tricky issues with boundaries that were sorted out for me very quickly and easily. I would have liked a few more regular updates throughout, without having to chase myself, thatâ€™s the only thing that has stopped me giving the full 5 stars. Overall though a great experience and they did a great job to hit my tight deadline. In total it took about 8 weeks from initial contact to completion which is fantastic. I have used Giles Wilson numerous times for private client conveyancing work and for commercial conveyancing, as well as employment law and tenant eviction. I have also recommended the firm several times for divorce work (some of my friends are still married!) and had excellent feedback from those Iâ€™ve recommended. As a former litigator myself, I have high expectations and have been very satisfied with the five or six different fee earners I have dealt with, hence my willingness to recommend the firm. 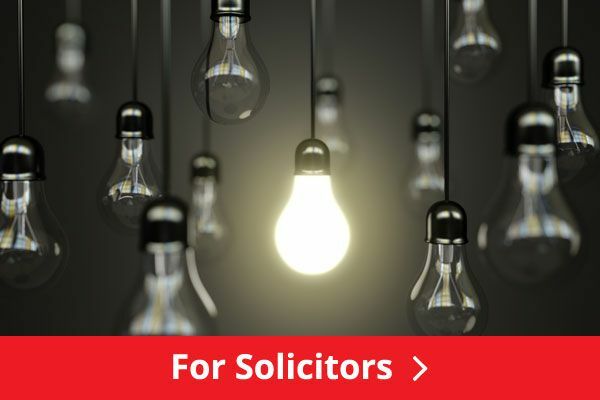 I have read some of the negative reviews on here and would advise anyone who is not happy with the service they are getting from their lawyer - at any firm - to write immediately to the senior partner. As an employer myself, our reputation is important to us and we can only deal with staff not living up to it if we are made aware. Thank you for your positive comments, Phil. As a business owner yourself, you will know that any complaint from a client hurts, particularly when you have lived and breathed the business for 20+ years. 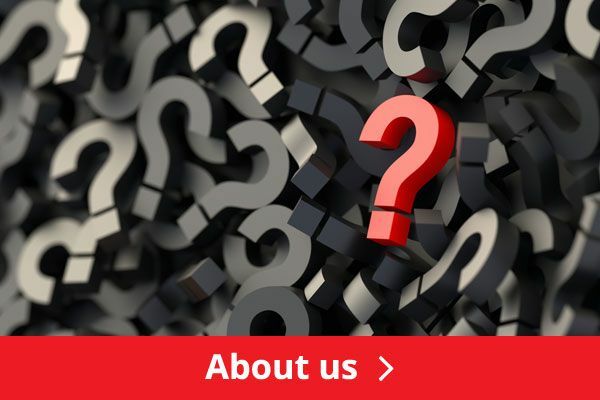 We do sometimes get things wrong, but when we do, we work hard to put it right; recently, our conveyancing dept was being re-structured and there were some teething problems which, I am glad to say, have now resolved. Online reviews are a new thing for us and it has surprised me that this can be the first port of call for a client before contacting us direct with their concern. As solicitors, client confidentiality is a professional duty of ours, so responding to a negative online review can be a fine line to tread (and sometimes the review is not even from a client, but rather an unhappy individual on the other side of a case to us). As you say, any client who has an issue should always contact us (me) first so that we can resolve it. Thanks again. We were recommended Giles Wilson by a family friend to get our wills done. Great service from start to finish. We dealt with Melinda Giles who was very efficient, professional and took the time to explain everything to us. Would highly recommend them as we were more than happy with the service we received. I recently updated my will and used Giles Wilson. They couldn't have been friendlier or more efficient. I was guided through the process and advised at every stage. I would definitely use them again in the future -- very impressed. Thank you Iain for your comments; much appreciated. I have been a personal client of Giles Wilson for many years, my conveyancing, my Will and various other litigious matters that have, over the years, arisen, have all been dealt with professionally, thoughtfully and successfully, so much so that I have never had a moments hesitation in recommending their services to my friends and family. The advice I have been given, even if on occasion was not what I wanted to hear has been, as it turned out right which is the reason I take my professional advice from Giles Wilson. Strongly recommend this firm. Excellent job by the team at Giles Wilson. They kept me fully in the loop throughout the whole complicated process and were highly efficient and professional throughout. I would thoroughly recommend them. I was recommended to Giles Wilson from a friend of mine. Being new to the area I had no idea what firm to go with and you always hear such worrying stories about solicitors etc. I was booked in and spoke with Melinda Giles who immediately put me at ease. It was a very trying time I had moved to a new area and was going through a divorce and custody arrangement for my child. Melinda guided me and helped me through each process - i had so many questions about what he could and couldnâ€™t demand when it came to our child and was extremely worried about it all. Melinda answered everything in a way I could understand and ensured I had everything I needed. She kept on top of everything to do with my case and reassured me at every stage. Iâ€™m happy to say Iâ€™m now divorced and have a visiting agreement in place for my ex to see our child. I will not be using any other solicitor from here on out, I couldnâ€™t imagine anyone else giving me the reassurance, advice and help I need in the same way as Melinda did. Iâ€™m forever grateful to her for her help and the help of the firm in general. Thank you so much Melinda & team. Thank you very much for your comments. Glad we could help. During the last 12 months Iâ€™ve consistently been impressed with Giles Wilsonâ€™s business and commercial knowledge - from GDPR to help with a business sale / merger transaction. They are always accessible, knowledgeable and with an eye for detail. Like anything in life you get what you pay for! Thank you for your positive comments, Carl. We really appreciate it. Excellent firm. Iâ€™ve used Giles Wilson for a number of years, most recently, amongst other things for: Conveyancing, wills, trademarking, and business compliance work. The advice is always first class, across all the 3 or 4 solicitors I have worked with at Giles Wilson. Whether personal or professional-commercial work - I have never been let down. Highly recommended (and I do so often), and highly professional. Thank you for your comments; very much appreciated. They have been dealing with my divorce now since November 2017, I have not heard back from them for over 6 weeks even though I was told they would be in touch 3 weeks ago. I have called the office and left messages now I find out the person who was dealing with my divorce left the company some weeks ago, I feel they are bad at communication and organisation along with being very slack at responding or returning phone calls. A shame to see such a great family company being run in to the ground by a team who appear not to care, this will be a great loss to Leigh On Sea but with the current lack of customer service it will be inevitable that this once great company will close. I was sorry to read your review. I am limited as to what I can say online because we have duties of confidentiality. The person who left was a member of support staff, not the solicitor. There was a handover between the member of support staff who left and the person who has taken over; their role is simply as administrative support. We updated you on your case, in writing, 4 weeks ago and explained that we were now waiting on a third party. You called today and we have tried to contact you on the number held on file several times but have not been able to get through. Please confirm if your number remains in service. I do not wish to say more online because of confidentiality but if you remain concerned, please do give me a call. I first used this company 9 years ago and they were fab, not no more though. Poor service, lack of communication. Moved offices midway through and I wasn't even aware until I rocked up. Took forever and a day for a easy chain on a sale and purchase. Constantly chasing. Oh and check your final bill, they seem to change when you query. I would not recommend this company. I have identified your file and emailed you personally asking you to get in touch to discuss your posting on this review site. Please do contact me by telephone or email. I am sorry to read your comment. You have posted anonymously so we do not know whether you are a client or what the matter concerned. If you would like me to look into this situation please make contact. Fast in taking payments, lack of action and unresponsive to telephone calls, almost 12 months and unable to finalize and close the account. Secretary, I spoke to, had a degree in rudeness. I asked them to get Andrew Young to acknowledge receipt of some information many times, still no contact. Although they initially responded quickly, it seems they are only really interested in you if it is highly lucrative to them. I was very sorry to read your comments. Your review is anonymous so I cannot identify you and as far as I know, you have not contacted anyone here to complain. If you would like to contact me on 01702 477106, I can look into this situation for you. I would like to know the name of the person you spoke to and what was said, so that I can speak to them. Please be assured that we aim to treat all our clients with respect, and efficiency, regardless of the fee they are paying. I simply wanted some help with dealing with a property management company. Initial response was good (when I was being offered non requested legal help with right to manage) but I explained that I am not in a current position to take that on. After being then passed on to another colleague and emailing over the paperwork as asked, I heard nothing back despite numerous requests by phone and electronically. Lastly,(as I did not ask her name) I don't know which of your secretaries I had a bad experience with. O.k, thanks for getting back to me. Further to my original review. Philip Giles was later good enough to arrange a free consultation with Emma who advised me regarding my problem. We are sorry to hear that you feel you had a poor experience with us. From your comment, we cannot identify who you are or what matter we may have worked on for you. We would like to know more about the nature of your review and if there are any steps we can take to remedy the situation. Please call us on 01702 477106 or email us at info@gileswilson.co.uk to discuss this further. My partner instructed the firm over four months ago and he is still waiting to exchange. It is extremely hard to get a hold of anybody in the firm who is actually aware of the transaction. Extremely disappointing service. I am really sorry to read your feedback. Please do get in touch with me at the office so that I can look into this for you. Thought Giles Wilson was very efficient friendly organised. And informed us regardly with updates. Also reasonable price. Would recommend this company to assist others in any matter they need to be assisted with.